To be sure that you caught the audio, Rothaus made an initial objective statement that gave way to the rhetorical question, and then the camera panned over to the impotent aesthetics of a pile of kite on a gravel road. BULLY! I need four miles an hour worth of wind. How can there not be four miles an hour worth of wind in North Dakota? Elkhorn Ranch photo by Richard Rothaus/Trefoil Cultural, October 2012. There are green evergreens (which is why they call them ever-green) to the right and leafless deciduous trees to the left, the Little Missouri River looking more like a creek as it should in autumn. Another one of the problems of kite photography is figuring out what minor or major adjustments the camera needs to capture enough horizon to give the viewer a sense of direction. If you want to make an adjustment, you have to repeatedly send the kite up and down with each camera tweak (bring snacks and a cooler). 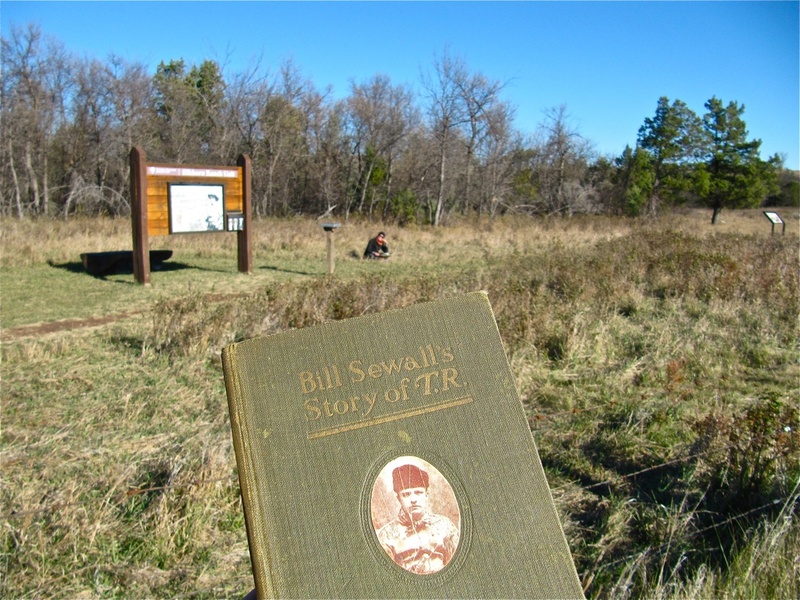 Bill Sewall returns to the Elkhorn Ranch, 2012.
the Elkhorn. In thinking about this, I suppose a cynic might say that Theodore brought Bill and Wilmot on board so he could have the time to write about how hard he was working in western North Dakota — if the technology was available, Roosevelt probably would have blogged about kite photography while his comrades were doing the actual hard work of kite photography, too (one has to be a bit philosophical about this). 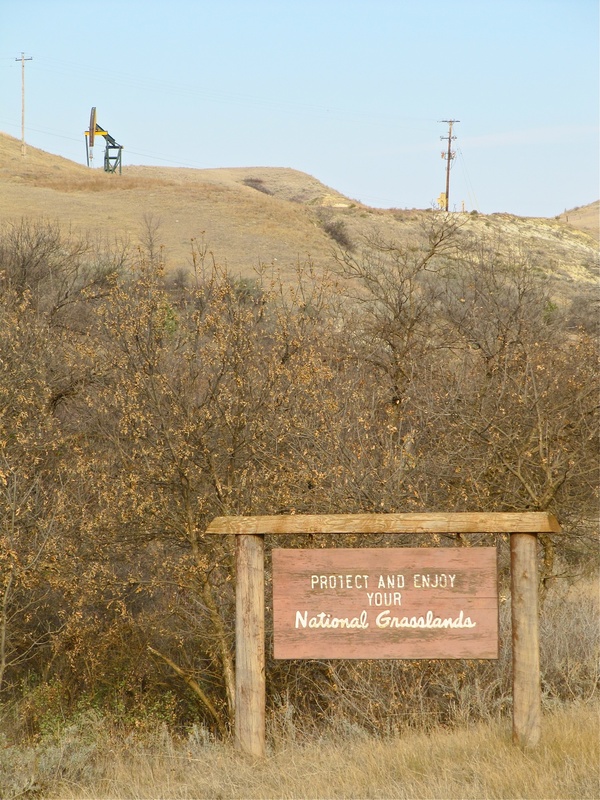 Oil Pumps and National Grasslands signage in western North Dakota, October 2012.